Healthy Families is a voluntary home visiting program for parents of new babies. Its mission is to strengthen families and promote healthy child outcomes. A variety of services are provided by Healthy Families. All services are free. In order to be eligible for our services, a family muse meet some income eligibility guidelines and must be expecting or have an infant under 3 months of age. Our referrals come from a variety of sources. Anyone can call and make a referral and in fact, we often receive self-referrals. Once a referral is received, a Family Resource Specialist (FRS) will arrange for an appointment to meet with the family in their home or in the hospital. In addition to bringing a small gift and basic community resource information, the FRS gathers information about the family in order to ascertain what additional services within the community might best fit their individual needs. Referrals for those additional services may be given at this visit or may be given later, depending upon the availability. 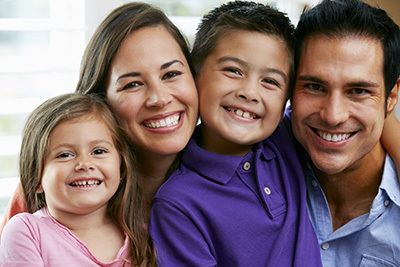 If the family meets further eligibility requirements, one of the additional services that they may be offered is Healthy Families ongoing home visiting. In the home visiting component of Healthy Families, the family is assigned a Family Support Specialist (FSS). The FSS meets with the family regularly in their home, bringing a host of information and activities designed to promote parent/child bonding and attachment and encourage and stimulate the child’s growth and development. In addition, Family Support Specialists share information about healthy childhood growth and development, health and safety information, information on many other parenting issues and also provide support to families by linking them to any other needed community resources. The FSS works with each family to set goals for themselves and helps each family to achieve these goals. In addition, the FSS assists in monitoring the child’s growth and development by monitoring immunizations, well baby visits, and by administering the ASQ Developmental screen at a variety of intervals.